If you’re reading this blog, it’s likely that you are interested in raising a reader. 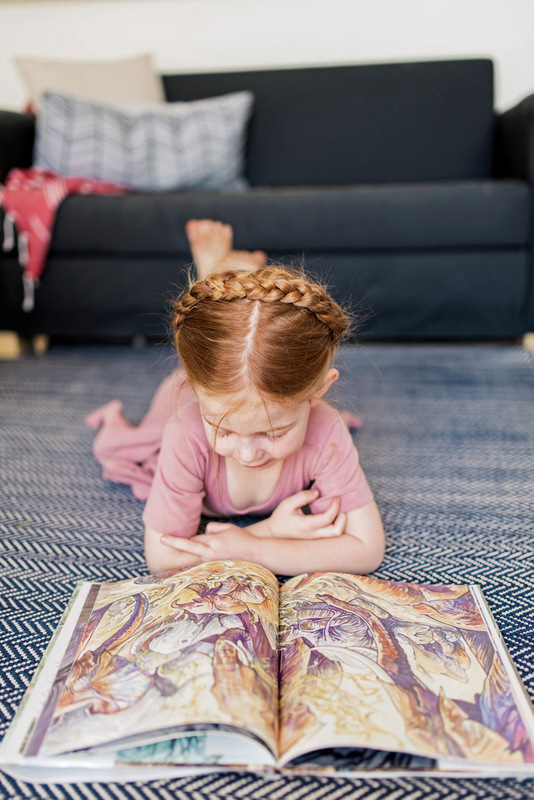 These tips for raising a reader are easy to implement in your home and make a surprisingly big difference in the way your children feel about books and reading! For nearly three decades, I’ve identified strongly as a reader. Many of my childhood memories include books, whether it was my mom reading aloud to us at night all the way through my high school years to waking up early on camping trips to read in my sleeping bag while the rest of my family was still sleeping. Years after the fact, my mom told me that a neighbor dad had mentioned to another neighbor mom that he thought something might be wrong with me because I was sitting in the corner with my nose buried in a book instead of playing with the other children (I remember this day clearly, actually, because I was the oldest child in the group by several years and playing with them was NOT appealing, especially when I had a good book on hand). So of course, I care a lot about helping my children develop a love of books and reading. Obviously, if reading isn’t their pastime of choice like it is for me, that’s fine. But it IS really important to me that my children have positive associations with reading and don’t see reading as something boring or distasteful, since reading is such a fundamental part of education and learning. Not to mention that reading can be just plain enjoyable. There might not be anything more fundamental you can do when it comes to raising a reader. Children can listen to a book that’s much more advanced than they could read independently, so reading aloud lets them enjoy books they couldn’t read on their own. This is especially effective if your child is a struggling reader, because it allows them to have positive associations with books and reading instead of every interaction with books be struggling to sound out words or string together a bunch of sentences. And definitely let them do something with their hands while they read! (Here are more than 20 ideas for things to keep their hands busy while they listen). I get lots and lots of questions about when to move a child up from board books to picture books or from picture books to chapter books, and if they’re ready, definitely start introducing the next level. But don’t feel like that means ditching the earlier level. If your child still loves picture books, absolutely keep them part of the mix! Picture books usually have fantastic language and excellent plots (often significantly more advanced than you’ll find in easy readers or beginning chapter books) plus beautiful illustrations. Ella, who reads at a very advanced level for a nearly-eight-year-old, still loves reading picture books and never wants to miss out when I’m reading them with the other girls. When your child is ready for the next level, they’ll let you know, but in the meantime, don’t make them feel dumb about their choice of books or making them read something they aren’t quite ready for. This is so counter-intuitive to many parents since it feels like you’re teaching your child to be a quitter. But slogging through a book you hate doesn’t make you love reading – it just makes you NOT want to read. If your toddler loses interest in a board book or your elementary-school kid can’t keep track of the plot or characters in a chapter book, ditch it and try something new. The goal is to help your child develop a love of reading, not dread getting stuck in a book you won’t let them give up on. 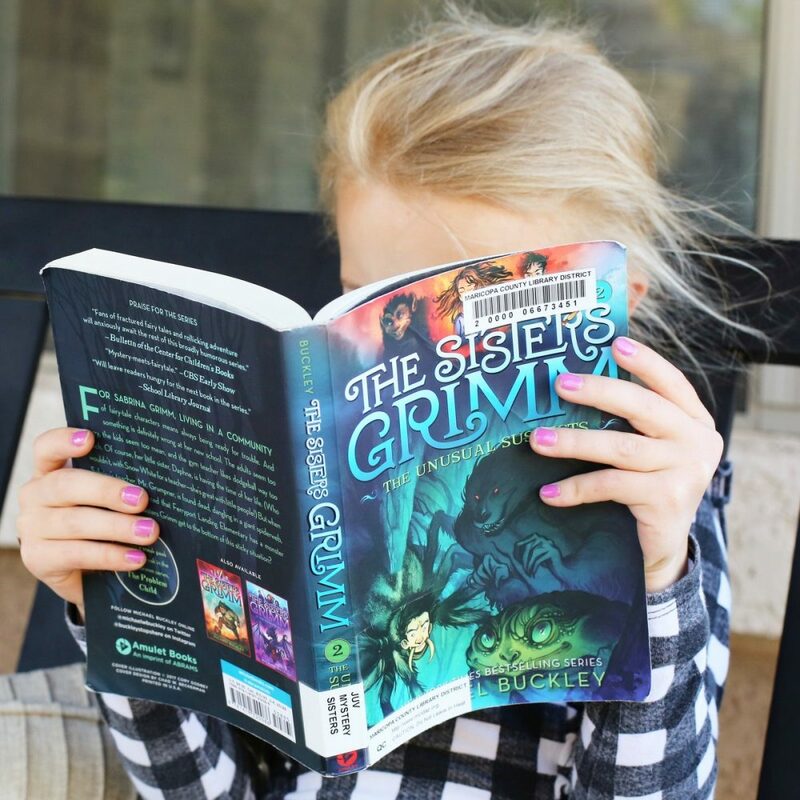 When you have a genre you love, it’s easy to push it on your child, but if your child doesn’t care for that genre, they might think they just don’t like reading at all. Trying a new genre can make a huge difference. Graphic novels appeal to many readers(especially visual learners!) who might not gravitate toward other books. When I worked as a school librarian, I noticed many children (boys in particular) gravitating toward non-fiction rather than fiction. You might not care for fantasy or thrillers or mysteries but it might be just what you child needs to keep them up all night with a flashlight. If you aren’t familiar with a genre, ask a school teacher or librarian for suggestions. Because of my work, I have SO many book recommendations available to me and it’s very tempting to do all the choosing of books at the library or bookstore. But the girls LOVE choosing their own books (even before they can read!) and if I let them choose a few of their own, they’re more more willing to read the books I’ve picked too. Plus, reading a sub-par book isn’t the worst thing in the world, especially when it comes with the perk of helping children feel like readers. Sometimes raising a reader means suffering through a couple of Tinkerbell books or Star Wars encyclopedias. Whether it’s a low shelf or a library basket on the floor, I like to keep books where my children can get to them on their own. My 15-month-old loves to pull the board books off the shelf in her room and I often find her in there flipping through the pages. When they can access books without an adult’s help, it helps them self-identify as a reader, plus looking through pictures and identifying a plot based on the illustrations are both great pre-reading skills. When I was in grad school, a public librarian came to speak on a panel and she said, “I’ve always thought that when we’re at the checkout desk we should be reading and when a child comes to check out their books, you’d say to them ‘Just one minute. I’m at a REALLY good part and I have to find out what happens. 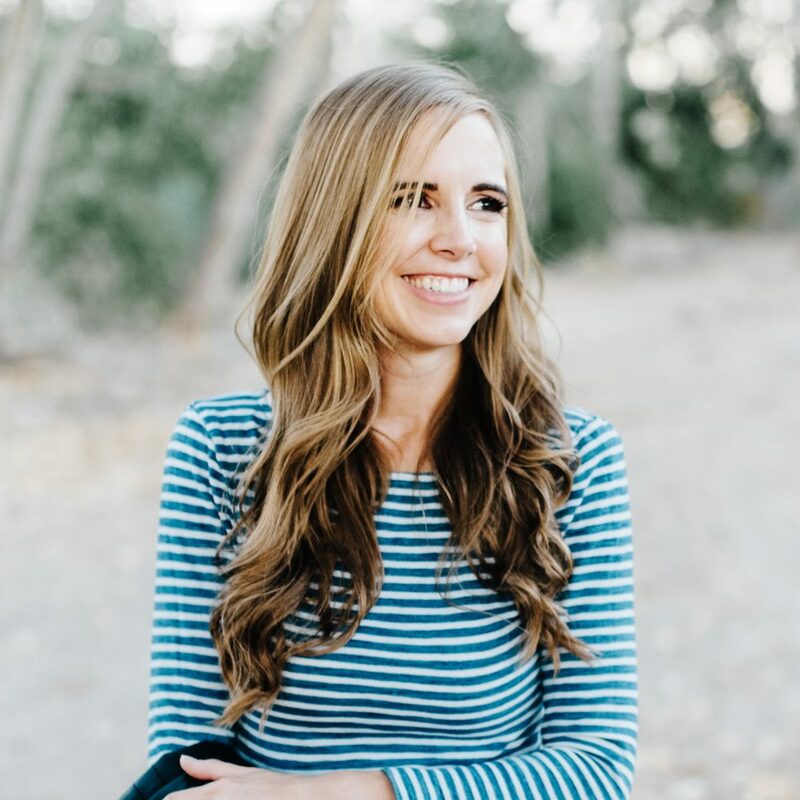 '” I’ve always remembered that and wanted to model that same enthusiasm for reading to my own children. Sit down with your own book and read for ten minutes. 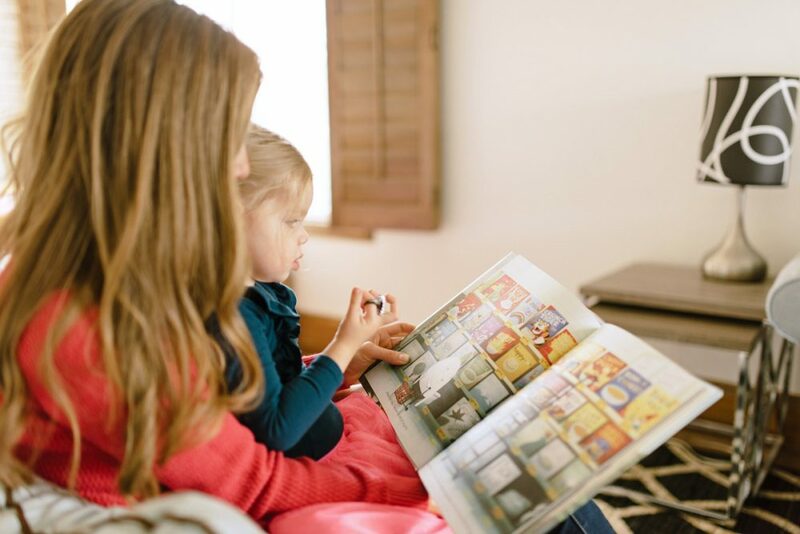 Give your child a stack of board or picture books and have her look through them while you read your own novel (I’ve noticed that my children responds better if I’m reading a paper book, rather than one on my Kindle). 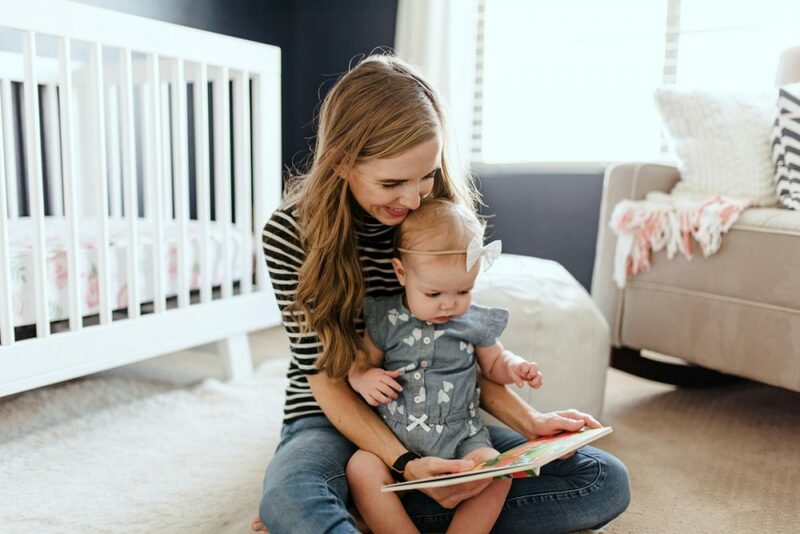 Model for your children that reading is a fun and exciting part of an adult’s life too, not just a chore that children have to slog through and finally can give up on once they’re grown-ups. Do you have other tricks for raising a reader? I’d love to hear them and I know that many other readers look to the comments on these posts for more suggestions from a wider variety of backgrounds and experiences. I so appreciate you sharing your wisdom with all of us! P.S. 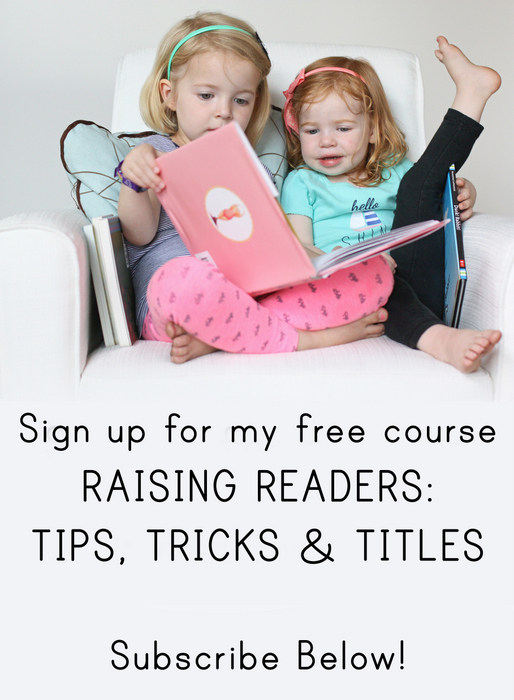 If you want my very best suggestions for building a culture of reading, the most valuable thing I can offer you is my FREE Raising Readers course. Thousands of families have taken it in the last eight months since I launched it and the feedback has been so so amazing. I think you’ll love it! I know these tips will not be for everyone, but besides the tips you already mentioned, we don’t own a tv and my kids watch very little shows/movies . . . less than 6 hours a month. They read or I read to them because it is one of the most fun and relaxing options available for entertainment. Oddly enough, I also restrict my son’s ability to read to certain hours of the day because otherwise, he would want to read ALL DAY LONG (he is homeschooled so he has more free time than most). He works hard to get all his chores done so there is time for reading! Reading is a reward at the end of a day of hard work . . . just like it is for me and my husband. I love the idea of modeling reading. I do almost all of my own reading when my son is in quiet time or in bed…so “permission” to add more reading time when he’s awake…please and thank you!! One thing that has worked for my older reader (age 10) is to only get him one book at a time. He gets overwhelmed with a stack of big books (and he likes longer books) and will just go back to defaulting to Harry Potter because he knows it and loves it. Now I get him one book at a time and he lets me know when he is close to the end so I can order him the next in the series or the next book he might be interested in. Now he’s working his way through the Mazerunner series.